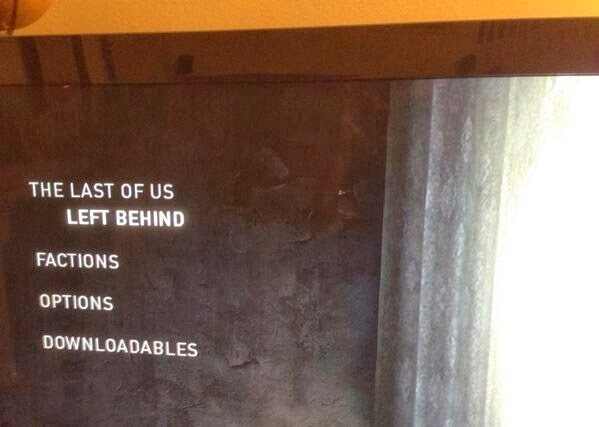 Naughty Dog's story DLC is ready for release. The story add-on for Naughty Dog's The Last of Us is complete, and ready for release, according to a Tweet from director Bruce Straley. Left Behind releases Feb. 14 on PlayStation 3, constituting the first and only story DLC for Consoleinfo ME's 2013 Game of the Year. The storyline follows protagonist Ellie and her friend Riley in the days before Ellie's encounter with Joel, where the two young girls begin at a boarding school meant to protect them from the infected. Consoleinfo.be recently got the chance to see the DLC in action, and also spoke with Yanni King, the voice actor chosen to portray Riley. King said Left behind gives players the chance to "really learn the personalities and the heart of who these two girls are to each other." Left Behind is priced at $14.99 for release on PSN, and requires the original The Last of Us disc in order to be played on the PS3.